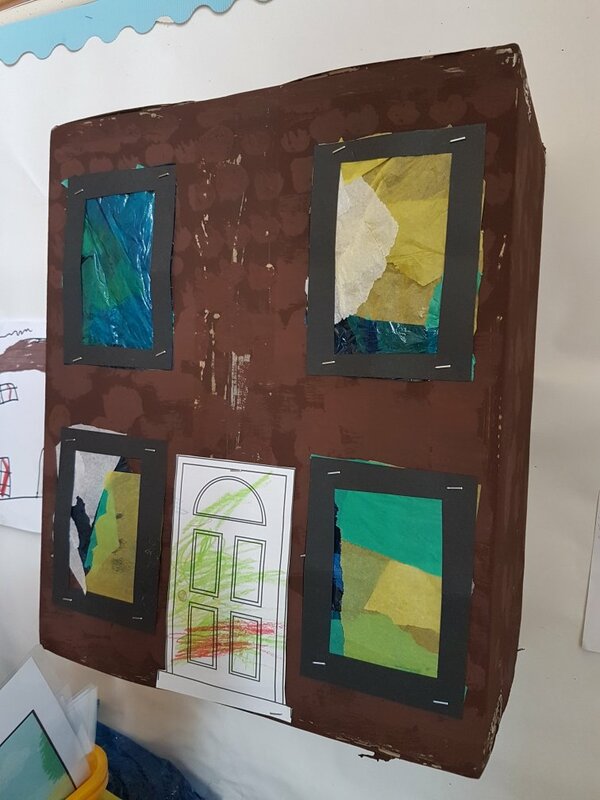 Sparkle Class are learning about Houses and Homes this term. We are busy making some houses for our classroom. We have been looking at houses and have noticed that some houses are long and some are short. Our houses have a front door, and four square windows.